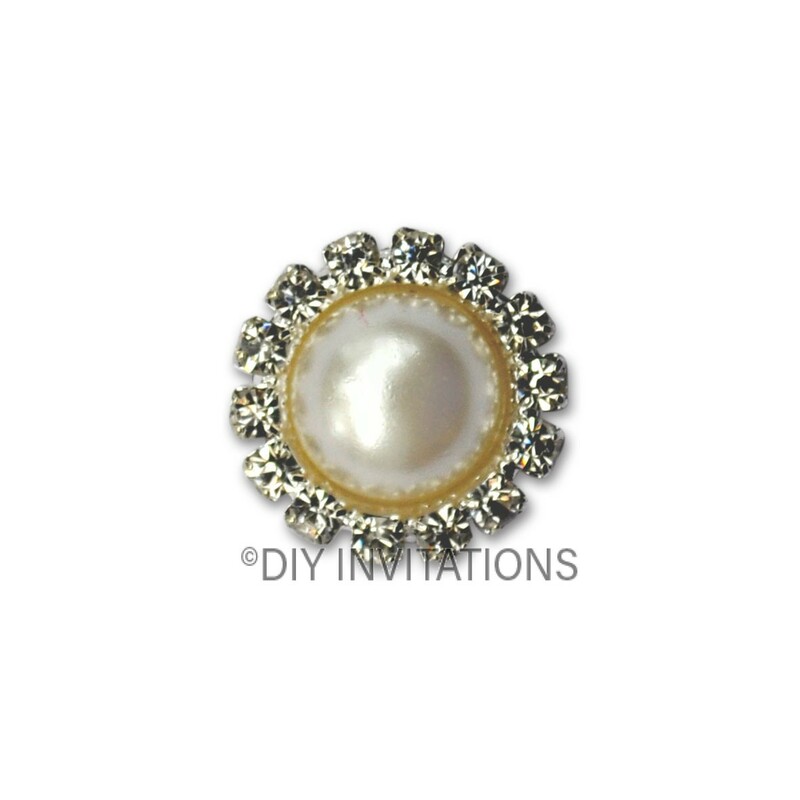 Round Pearl: This delicate pearl and diamond cluster will add a touch of elegance to your handmade creation. Our Round Pearl cluster contains 14 crystal clear diamantes and faux pearl, all encased in a brilliant silver metal body. This cluster has a 19mm diameter, and sits approx. 7mm high and comes pre-glued for your convenience.